Tara Howley and Friends at The Doolin Folk Festival 2016 with Tara playing the Uilleann Pipes. The Uilleann Pipes are widely regarded as one of the most outstanding examples of pipes worldwide. Largely because of their uniquely sweet and mellow tone, which serves to heighten the beauty and often mystical quality of Irish Traditional Music. Uilleann pipes are the earliest recorded type of Irish bagpipes and date back to the fifth century, when they were an instrument popular in the peasant community. Fast-forward to the seventeenth century, and this type of bellows pipes started to become the fashion among the lower and upper classes alike, most notably in Ireland and France. As the eighteenth century dawned, the previously rustic pipes had evolved into the leading instrument in most types of Irish traditional music, leaving the harp behind. As the century progressed, so did the design of the pipes, and they were soon leading the field as some of the most sophisticated bagpipes to be found anywhere in the world. Piping reached the very height of its popularity in pre-Great Famine Ireland. After the famine receded, the older styles of dance started to go out of vogue. They were replaced with quadrille-based set dances, which were typically accompanied by the concertina and the melodeon. As the twentieth century dawned, it seemed that the pipes were fated to follow in the footsteps of the harp and become consigned to musical oblivion. Just in time, though, interest and appreciation for this most quintessentially Irish instrument revived. Largely as a result of the 1893 campaign to encourage the Irish to appreciate their native culture that was spearheaded by the influential Gaelic League. This new-found enthusiasm lead to the establishment of a number of pipers’ clubs, most notably in Dublin and Cork. Competitions started to be held where pipers could showcase their skills. Established players were invited to attend and share their knowledge with a new generation of musicians. So the wonderful mantle of Uilleann piping was passed down to a new cohort without suffering any breaks in continuity. However, though the matter of succession may have been secured, the number of pipers attending the new clubs soon suffered an alarming dip. It seemed that the future of the art once again hung in the balance. In the nick of time, the society Na Píobairí Uilleann (the Uilleann Pipers) was set up in 1968, a pivotal and timely factor in ensuring the survival of the Irish pipes. 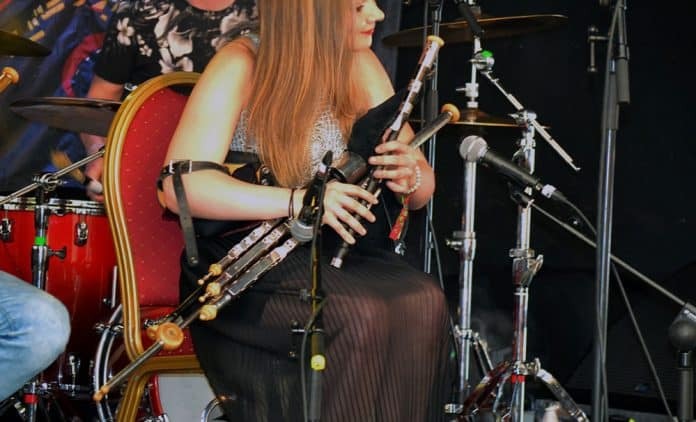 Established by professional musicians who had links with the first Dublin pipers, the society was given a further boost when a number of old cylinder recordings of pipers were unearthed. The study of these recordings, plus guidance from established players, resulted in a new generation of super-talented young pipers whose mastery of this ancient instrument is truly impressive. In its complete state, a set of pipes comprises a bag, a set of bellows, three regulators and three drones. The bag is inflated via the bellows, and the chanter has a two-octave range. The bellows are firmly strapped to the player’s right arm, allowing him to pump air efficiently into the bag. The piper controls this air flow with his left elbow, meaning that he is able to change octaves at will. On the face of the pipes are found seven finger holes, and on the back is a thumb hole. The drones – tenor, baritone and bass – sound static tones that run under the melody. The regulators (tenor, baritone and bass) rest on the musician’s thigh, enabling him to depress the keys and operate the chanter simultaneously with the same hand. 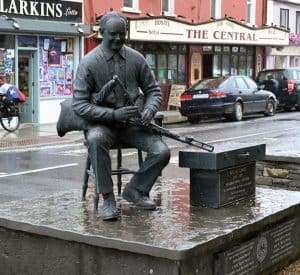 The Willie Clancy Memorial Sculpture in Miltown Malbay, Co. Clare. There have been so many notable players of the Uilleann pipes over the course of the years that it would be impossible to name them all. Two names do stand out though. Séamus Ennis and Patsy Tuohey were certainly among the most sublime practitioners of this beautiful Irish Traditional Music art. Séamus Ennis was without doubt one of the finest pipers who ever lived, and as the co-founder of the non-profit organisation Na Píobairí Uilleann, he played a valuable role in the revival of the pipes. Through his work, in conjunction with the Irish Folklore Commission, he helped to prevent nearly two thousand traditional Irish dance tunes and songs from being consigned to history. Patsy Tuohey was a highly celebrated and incredibly skilled player of the Uilleann pipes. Patsy traveled the length and breadth of America to play on the vaudeville and variety stage. His unique phrasing and pioneering technique made him a distinctive presence on the American-Irish Traditional Music piping scene. 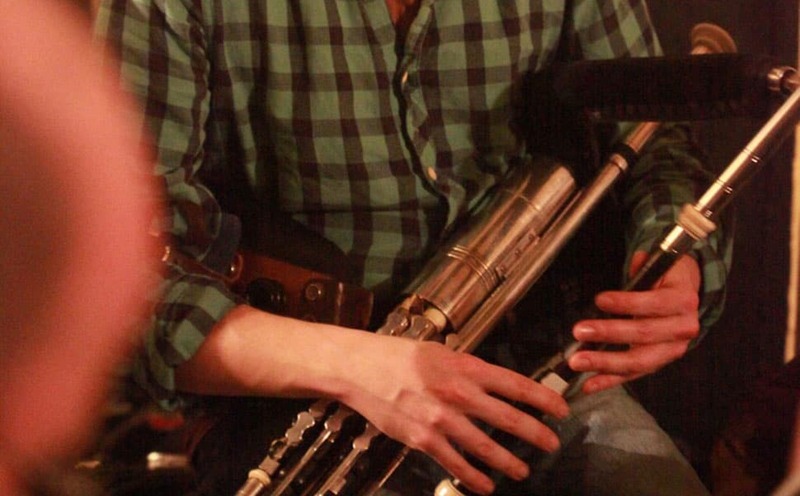 He is often, alongside Séamus Ennis, cited as one of the most significant contributors to what has become an idiosyncratic and influential American style of piping. Another notable piper was Willie Clancy. In his honour in 1973 the Willie Clancy Summer School was established with musicians coming from all over in increasing numbers every year to Miltown Malbay in Co. Clare to attend this summer school.